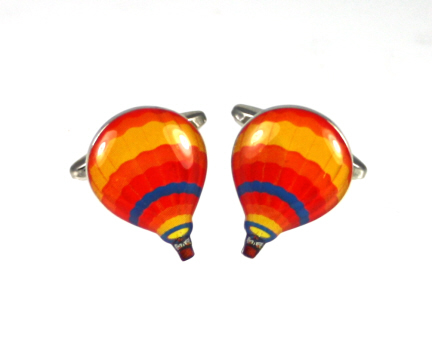 Brightly coloured hot air balloon cufflinks appropriate for those love this popular pastime. Attractive embroidered hot air balloons in blue, yellow and white on a red silk tie. Lovely tie for those who enjoy ballooning. Made from premium English silk.